Specially designed striped scarf. 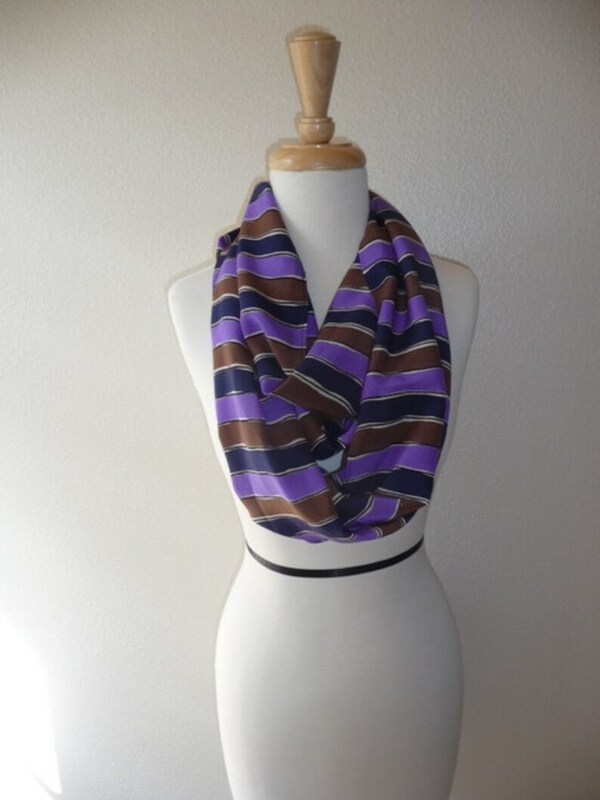 This silk fabric has thick stripes on it and it has a brown, purple and white colors across. You can use it as a circular accessory around your neck! Beautiful scarf! And the shop was great to work with. Very fast delivery, great item. Absolutely love it. Thank you so much! Thank you for shopping with Enzaly Couture. Have a great day!